Ohio State University trustee Jeffrey Wadsworth attends a meeting of Ohio State University trustees to discuss the future of NCAA college football coach Urban Meyer in Columbus, Ohio. Wadsworth, who thought football coach Urban Meyer deserved more than a three-game suspension and resigned from the board over it, said that he was alone in advocating a stiffer penalty when trustees discussed the matter. COLUMBUS, Ohio – An Ohio State University trustee who thought football coach Urban Meyer deserved more than a three-game suspension and resigned from the board over it said Thursday that he was alone in advocating a stiffer penalty when trustees discussed the matter. 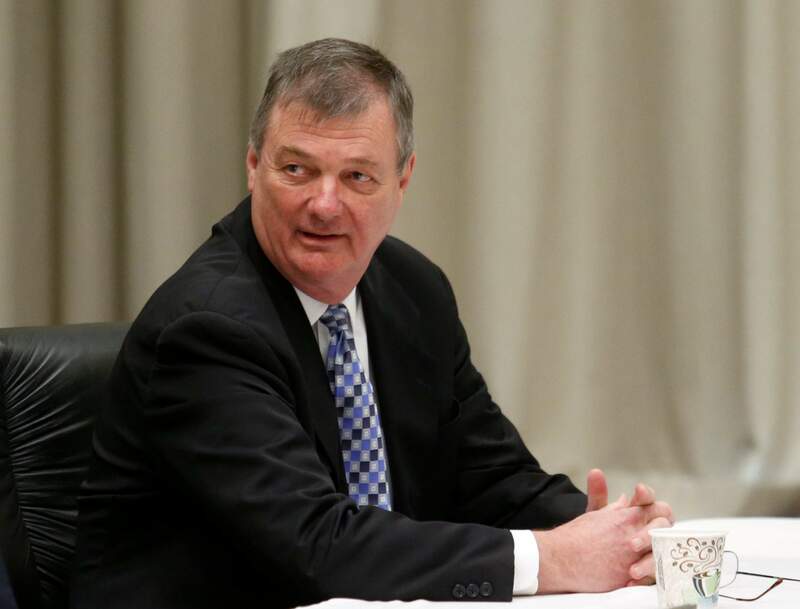 “Since I fundamentally disagree with the outcome it would be hypocritical of me to continue as a Trustee,” Wadsworth told board chairman Michael Gasser in an Aug. 22 email, the day of the suspension, and released by the university on Thursday. Wadsworth told the newspaper he left the Aug. 22 daylong meeting at lunch, learned of President Michael Drake’s resulting decision after it was publicized, and resigned that night. He wouldn’t comment further about that move when reached by The Associated Press. He also isn’t sharing others details about the trustees’ private discussions on the matter, and no other members of the board have done so. Gasser said he was proud of the independence of Ohio State’s investigative committee, the work done by a group of nationally recognized outside experts, and “the deliberative nature of our board” finding common ground given a complex set of facts. “As you know, we are always stronger when individuals representing a range of diverse opinions review a set of facts together in an effort to best serve the university,” Gasser said in the email, released by the university at AP’s request. The school said Wadsworth, a retired president of Battelle Memorial Institute, was “an exceptionally valuable member of the board,” where he’d served since 2010. The Meyer discussion certainly wasn’t his first involving the professional fate of a scrutinized employee with many fans. Wadsworth was board chairman in 2014 when Drake decided to fire marching band director Jonathan Waters after an investigation uncovered band traditions and rituals that were racy, raunchy or suggestive. Waters said he’d been trying to change such activities, but Drake and the university insisted that Waters controlled the band and answered for its practices, even those that came from old traditions.